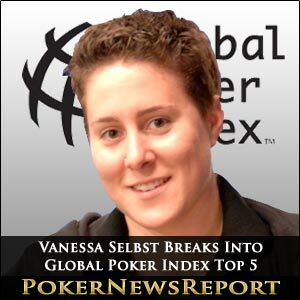 American Vanessa Selbst has blasted into the top five on the Global Poker Index (GPI) 300 for the very first time after what has been a rather quiet couple of weeks on the rankings. 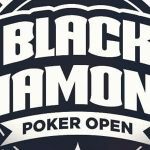 That lull ended last week with results from the European Poker Tour (EPT) Copenhagen and the LA Poker Classic (LAPC) affecting standings throughout the top 300, although American pro Jason Mercier remains in the number one spot. New Yorker Selbst leapt three places into fifth spot on the GPI 300 after winning the LAPC $5,100 buy-in No-Limit Hold’em event for $140,295 when defeating 2010 World Series of Poker (WSOP) main event champion Jonathan Duhamel heads-up in California to leave the French-Canadian with $121,115 as runner-up. Selbst – a one-time WSOP bracelet winner – added 143.51 points to her overall score to now sit on 2,515.36, while Quebec’s Duhamel picked up 40.29 points to take over in 10th place on the rankings on 2,279.95 for only his second appearance inside the leading 10. Duhamel’s rise is particularly impressive, though, as he sat down in 82nd place just ahead of the PokerStars Caribbean Adventure (PCA) in early January, but has since notched a quartet of six-figure cashes to zoom up 21 spots. The 24-year-old collected $313,600 for finishing fourth at the PCA $100,000 buy-in No-Limit Hold’em Super High Roller on January 5, $239,830 for winning the $5,000 buy-in No-Limit Hold’em Eight-Max event on Paradise Island five days later, and $634,550 with his runner-up spot in the $25,000 No-Limit Hold’em Eight-Max High Roller on the 12th. Las Vegas-based Steve O’Dwyer (2,271.09) also moved up five places to 12th following his seventh place in the EPT Copenhagen DKK 35,000 No-Limit Hold’em main event last month for $51,265. However, Ukrainian Eugene Katchalov has dropped out of the top four placings on the index for the first time since the system was introduced to sit in sixth place on 2,463.12 points. Incredibly, the 31-year-old – who was raised in Brooklyn – had held on to fourth place for 16 consecutive weeks before falling two spots on the latest rankings, while the one-time WSOP bracelet winner had previously moved into and out of third and even came close to the number one spot in October last year when holding second place for three successive weeks. But Katchalov lost 246.25 points – the biggest drop on the GPI 300 – after several scores aged into lower periods, with his third place for $453,812 at last September’s €5,000 buy-in No-Limit Hold’em main event at EPT Barcelona dropping into Period 2 to cut his points total by 110. That result had a knock-on effect, too, as his first place in last summer’s WSOP $1,500 buy-in Seven Card Stud for $122,909 no longer counts towards his total and resulted in an additional loss of 132 points. Canadian Shawn Buchanan (2,711.02) added 38.53 points to his score to move above Katchalov into fourth place. The 29-year-old from British Columbia lost points after his 13th place for $24,415 at last August’s WPT Legends of Poker $3,500 buy-in No-Limit Hold’em main event in LA aged into Period 2, while his 24th spot in the 2010 LAPC’s $10,000 buy-in No-Limit Hold’em Championship event for $45,770 fell into Period 5. While Buchanan lost points in Periods 1 and 4 as these results aged, he actually made a positive move as those two scores knocked out other results in Periods 2 and 5 to ultimately give him extra points. 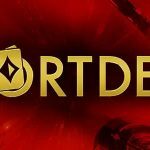 Team PokerStars Pro Mercier, meanwhile, was one of only four players inside the top 20 to stay put on the latest rankings as he held on to all of his 2,993.04 points, while eight-time WSOP bracelet winner Erik Seidel overtook French Triple Crown winner Bertrand ‘ElkY’ Grospellier in second place. 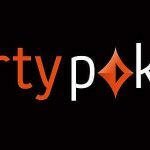 New Yorker Seidel added 74.62 points to his score to sit on 2,863.83 as London-based Team PokerStars Pro Grospellier could only add 6.71 to now hold 2,857.76 in third place, despite taking fourth place in the LAPC’s $25,000 buy-in No-Limit Hold’em High Roller for $72,550. Seidel actually benefitted from ageing scores as results from last year’s LAPC – including his first place for $144,570 in the $25,100 buy-in High Roller – and 2010 moved into periods that were previously not full, so improving his overall score significantly. Katchalov might have been hardest hit on the rankings, but he wasn’t the only player to suffer as 50% of the top 20 saw a minimum of one score fall into a lower period, while five witnessed at least two scores age. New York State’s Will ‘The Thrill’ Failla (2,362.00) was one of those to see several scores age, resulting in a net loss off 64.38 points and a fall of two places into eighth. The 44-year-old added 188 points from his fourth place for $41,334 in last month’s $2,500 buy-in No-Limit Hold’em main event at the Deep Stack Extravaganza I in Vegas as his victory for $758,085 at August’s Legends of Poker main event aged into Period 2 to ensure that his latest score is included in Period 1. Unfortunately, the overall effect of that score ageing, combined with his 2009 and 2010 LAPC results – which included third, fourth and sixth in the latter – ultimately negatively affected his overall score. Canadian Matt Marafioti (2,199.26) also suffered despite finishing 12th in the Deep Stack Extravaganza for $11,934 as he lost 89.66 points to fall six places into 16th. Marafioti’s 70th place for $12,053 at the 2010 Deep Stack Extravaganza $5,000 buy-in No-Limit Hold’em event aged into Period 5 to give him an extra 14 points as that result had not been counted in Period 4. But his 17th place for $50,340 at last year’s LAPC Championship event aged to cost him 112 points, so resulting in his drop in the rankings. Florida’s Matt Waxman, meanwhile, remained on 2,400.18 points to retain seventh spot on the GPI 300. The $5,100 No-Limit Hold’em event at the latest LAPC also saw five other players, including Duhamel and Selbst, gain on the latest rankings list, with Pittsburgh’s Josh Brikis leading the way by moving up 108 places to 161st on 1,340.20 points after taking third in the Commerce Casino tournament for $61,790. Brikis had dropped out of the GPI 300 late last December, but enjoyed the biggest rankings leap after picking up 233 points from his LAPC score, which was also boosted by his third place for $24,189 from January’s Borgata Winter Open $1,650 buy-in No-Limit Hold’em Bounty event in Atlantic City. Other players at that final table in LA also enjoyed positive movement, with Englishman Stephen Chidwick – fourth for $42,780 – returning to the rankings in 185th on 1,277.10 points after dropping out in late January, while San Jose’s Faraz Jaka (1,767.61) added 199 points to move up 38 spots to 51st after taking fifth place for $33,270. New Jersey’s Matt Stout (1,631.19) added 85.2 points to his total to climb 24 places to 73rd – after last week rising 27 spots – following his seventh place finish in the same event for $21,390, while London-based American Mclean Karr (2,054.48) took eighth place for $16,640 to climb 15 places into 25th by adding 167.16 points. The 30-year-old from Indiana had lost 12 places the previous week when dropping 154 points, so this will come as a welcome boost. Dan Shak was among the players returning to the GPI 300 after the Vegas pro – who had finished as runner-up to Viktor ‘Isuldur1’ Blom in the PCA Super High Roller in January – again recorded a second place finish in a high roller event, this time at the LAPC for $137,780, to take 167th place on 1,323.64 points. Meanwhile, another Sin City player, Dan Fleyshman, was among five pros to debut on the rankings after he collected $114,800 for third at the LAPC high roller to come in at 279th on 1,085.87 points. Sticking with the LAPC, Californian Edward Sabat (1,172.10) moved up 68 places to 222nd following his sixth place in the Bounty Championship for $5,340, while other final table players Andy Frankenberger, of the USA, and Canadian Owen Crowe also enjoyed a profitable week. Sabat added 89 points as none of his scores aged, and the same goes for one-time WSOP champion Frankenberger, of Massachusetts, who picked up 80 points for finishing eighth for $3,400 in the same event to climb 31 spots into 159th on 1,346.99. Nova Scotia’s Crowe (1,080.22) was another newcomer to the list after he pocketed $4,370 for finishing seventh in the bounty event to debut at 284th. The other players making first appearances on the GPI were Dane Mickey Petersen, who took 215th on 1,202.36 points after winning the EPT Copenhagen main event for $444,595, while Romanian Dan Murariu – who earned $17,368 for his eighth place in the Unibet Open Prague €1,500 buy-in No-Limit Hold’em main event – came in at 282nd on 1,082.07 and Dubliner Michael Graydon joined at 296th on 1,068.40. Belgian Pierre Neuville (1,960.25 points) climbed 26 places into 35th after finishing as runner-up to Petersen for $282,843 to record the largest points gain of 260, while – also in Copenhagen – Montreal’s Samuel Chartier (2,006.03) took second place in the DKK 15,000 No-Limit Hold’em event for $53,033 to gain one spot into 30th and Englishman Rupert Elder (1,506.92) secured third spot in the same tournament for $15,146 to climb 54 places on the GPI to take 104th. Other notable movers from recent victories were Englishman Max Silver and Fabrice Soulier, of France. Londoner Silver climbed 15 spots into 234th on 1,152.60 points following his €2,000 buy-in No-Limit Hold’em High Roller win for $30,630 at the UK & Ireland Poker Tour (UKIPT) Galway last month, while the Vegas-based Soulier added $63,830 for taking down the $2,080 buy-in No-Limit Hold’em Six-Max event at the LAPC to climb six spots into 29th on 2,009.50 points. The other players returning to the top 300 were England’s Andrew Teng (219th on 1,182.52) after he took third place in the Galway event for $11,486, North Carolina’s Randal Flowers (274th on 1,090.27) following his fifth spot in the LAPC Six-Max event for $12,770, Bulgarian Yuliyan Nikolaev Kolev (295th on 1,070.48), and Canadian Mike Leah (297th on 1,063.77). 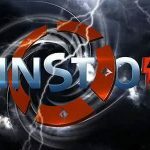 Of course, that means 11 players dropped out of the GPI 300, and they are Russian Konstantin Streletskiy – who only made his debut the previous week at 279th – as well as Seattle-based Indian Vivek Rajkumar, Englishman Surinder Sunar, Americans Jason DeWitt and Tyler Cornell, Hungarian Richard Toth, Latvia’s Mihails Morozovs, Belgian Matthias De Meulder, Israeli Saar Wilf, Canada’s Simon Charette and Swede Per Linde. Joining the likes of Brikis, Sabat and Elder as notable climbers were American Mohsin Charania (up 53 places to 175th on 1,296.59 points), Chile’s Nick Yunis (up 35 to 127th on 1,440.61), Austrian Erich Kollman (up 26 to 116th on 1,461.63) and Hungary’s Andras Kovacs (up 26 to 84th on 1,586.52). However, Michigan’s Dan Heimiller (1,059.73 points) suffered the biggest drop as he fell 86 places to 298th after his 20th place for $14,135 from last year’s WPT Legends of Poker main event fell into Period 2 to leave him with just one Period 1 score. If that wasn’t bad enough, the American’s 20th place for $43,800 at last February’s LAPC main event aged into Period 3 to hit his overall score hard. Also seeing significant drops were Evgeny Zaytsev (down 77 places to 291st on 1,074.06 points), Randy Dorfman (down 75 to 300th on 1,058.35), Amir Lehavot (down 64 to 149th on 1,369.65), Massimiliano Martinez (down 63 to 224th on 1,171.30), David ‘Bakes’ Baker (down 62 to 171st on 1,316.51), Marton Czuczor (down 61 to 184th on 1,281.84), Dmitry Gromov (down 61 to 126th on 1,441.69), Michael Tureniec (down 58 to 172nd on 1,314.29) and Zach Clark (down 57 to 248th on Zach Clark). The next rankings list should again see noteworthy movement as the $10,000 buy-in No-Limit Hold’em Championship event from the LAPC main event closed with American Sean Jazayeri taking top spot for $1,370,240. Noah Schwartz (27th on 2,049.93) and David ‘Doc’ Sands (28th on 2,045.45 points) took fourth and second respectively from that event, so will almost certainly break into the top 20, while Sorel Mizzi (11th on 2,273.85) exited in 10th and ought to break back into the top 10. Follow us to stay informed on the latest online poker news and the latest developments on the GPI.